.. a unique and beautiful hexagonal cottage set in tranquil landscape of fields and orchards right at the foot of the Ochil Hills in 18th century conservation village of Blairlogie, Fully equipped and comfortable. All amenities within easy reach and well-placed for touring. A friendly welcome awaits you. This is the bright spacious lounge with an outlook over the fields of the hillfoots where sheep and highland cattle graze. 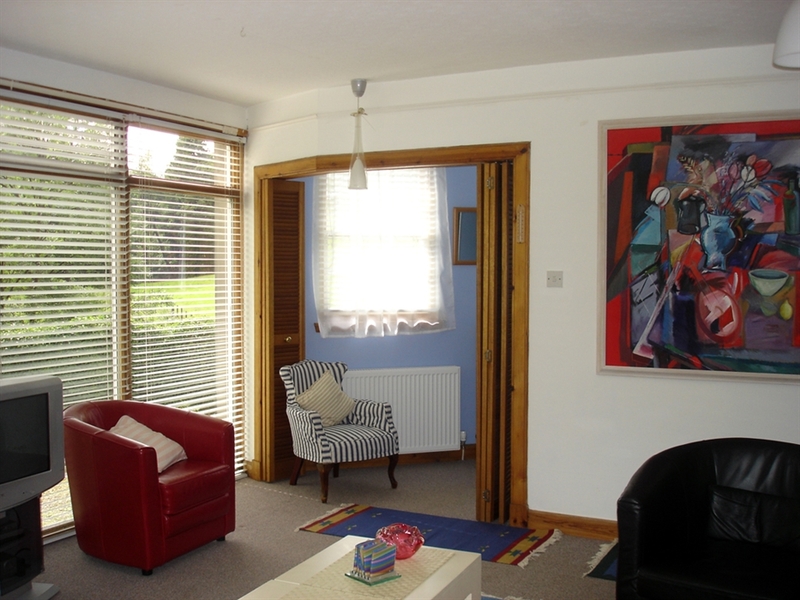 This photograph of the lounge also has a view over the upper garden where squirrels and birds abound. 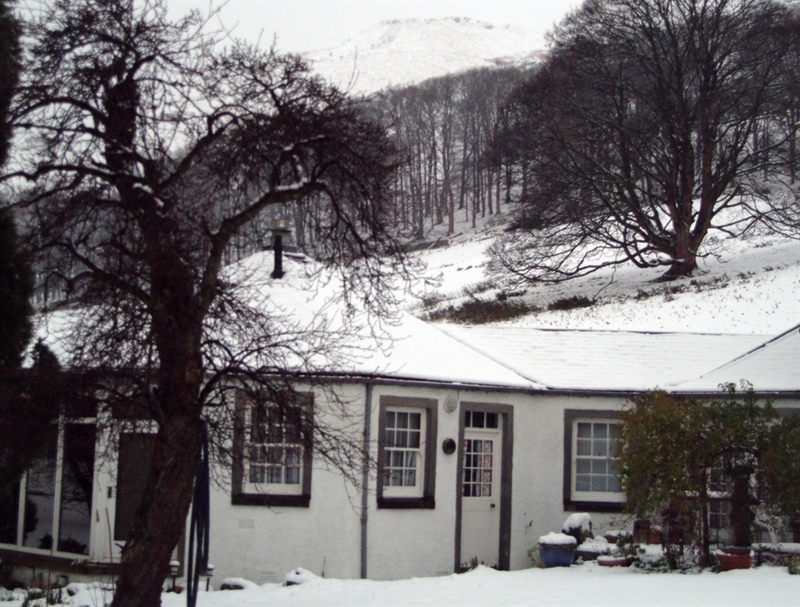 The view of Watergate Cottage in the winter, an ideal place for a romantic Christmas break.